Poland’s capital Warsaw has survived a turbulent past to emerge as a thriving modern city with a great many stories to tell. Heavily damaged during World War II, the Old Town has been painstakingly restored and is now a popular meeting place for both locals and visitors. You can learn all about Warsaw’s past by joining a guided tour or by visiting some of the city’s many museums which tell the story of the rise of Communism and the resilience of the Polish people who had to contend with the consequences. Architecture enthusiasts will be able to admire several disparate styles including everything from Gothic cathedrals to the bleak Soviet-era blocks and just about everything else in between. Although the Copernicus Science Center is a brilliant Warsaw attraction for all ages, it is a particularly wonderful place to visit with children. There is so much to see and do that it is impossible to do the center justice during a single visit. Perhaps the best way to enjoy the center is to choose your main interests and then simply let your imagination run riot as you explore some of the 400 interactive exhibits which are designed to foster a deep curiosity about science and space exploration. Along the way you will find a variety of 20-minute mini-workshops and there are “explainers” all over the center who are keen to answer any questions you may have. The Planetarium (The Heavens of Copernicus) hosts a full program of live shows, film shows, music shows, laser shows and films. 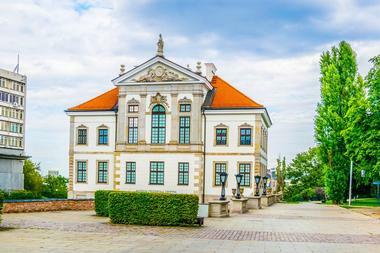 Lovers of art, architecture, history and antiques should not miss the chance to visit the sumptuous Wilanów Palace (correctly described as the Museum of King Jan III’s Palace at Wilanów); you will probably need a full-day visit to fully appreciate both the palace and the surrounding park and gardens. You may tour the interior of the palace with the aid of an audio guide, which will lead you through a succession of opulent halls and chambers including the Apartments of King Jan III, the Dutch Cabinet (with marvelous frescoed ceiling), the Potocki Museum (containing a large collection of glassware) and the Chinese and Hunting Rooms, among many others. The gardens are sensational and should not be missed. Entrance is free on Thursdays. Come and learn about the life of legendary Warsaw composer Fryderyk Chopin at the museum dedicated to his life in Warsaw. The new and modern museum, located in the Ostrogski Palace, is particularly of interest to music lovers, history buffs and art enthusiasts but will equally educate and enthrall the general public. The fine collection of artifacts which document the life of Chopin through the different periods of his life are spread over four floors of the palace. You can choose to see it all at your own pace using an audio guide, or use their innovative RFID (Radio Frequency Identification) technology to enjoy a personalized audio tour structured according to your personal interests. 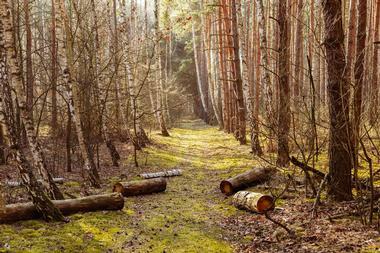 Located north-west of Warsaw, Kampinos National Park is easily accessible to visitors using public transport. Within a short time you can exchange the hustle, bustle (and pollution) of the city for a serene and pristine nature reserve which covers over 385 square kilometers. The unusual landscape within the reserve was created by retreating glaciers during the ice age, which left an unusual combination of sandy dune-like areas which lie almost alongside swampy wetland patches. You can explore the park on foot or by bike along a network of 350km of well-marked trails. Along the way you can spot several species of wildlife and you may come across graves and memorials to the many people who were executed in the park by the Nazi regime during World War II. Lazienki Park is a must-see attraction for all visitors to Warsaw; try and visit during the week to avoid the large crowds of locals who descend on the park each weekend for a family day out. 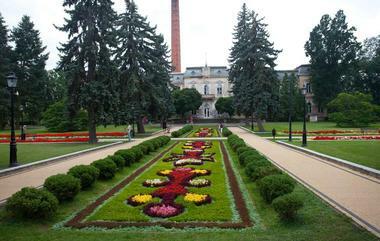 The name Lazienki is the Polish word for baths and the gardens are named for what is now called the Palace on the Island, which was originally built in the 17th century as a private bathhouse for the adjacent Ojazdowski Castle. A single combined entry ticket will give you access to the beautifully landscaped gardens, the Palace on the Island, the Orangery and the Chopin Monument. You can easily spend an entire day viewing all the attractions of the park. The tiny Life under Communism Museum is a private museum which sets out to give visitors a glimpse of how Warsaw people really lived during the communism era. The museum comprises two tiny rooms (representative of the small, bleak apartments built during the communist era), filled with furniture and fittings dating back to the 1940’s, 1950’s, many of which visitors will recall from their own childhood homes or their grandparents’ homes. 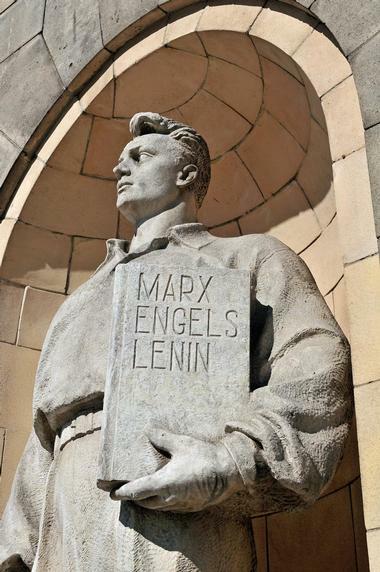 The purpose of the museum is to show the younger generation how their parents lived and to remind older visitors of both the good days and the bad days when the communists were in power. 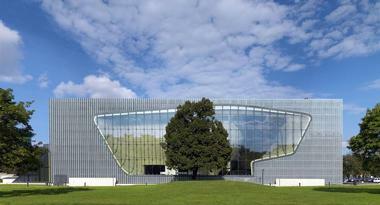 Essential viewing for any visitor to Warsaw, the POLIN Museum is housed in a stunning modern building which stands at the site of the pre-war Warsaw Ghetto, which was home to thousands of Warsaw Jews before World War II. The design of the building is full of symbolism – large areas of glass flood the museum with light, symbolizing the light and culture which Warsaw’s Jews brought to the city. You can join a guided tour of the core exhibition entitled “1000 years of the history of Polish Jews” on weekends or rent an Audio guide if you plan to visit during the week. Most of the museum exhibits are suitable for children (there are lots of interactive exhibits), with the exception of the holocaust exhibit which is suitable for children older than 12 years. 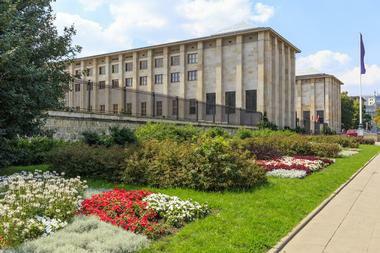 The National Museum is the largest museum in Warsaw and is a must on any art-enthusiasts itinerary. Not only will you find a fine collection of ancient artifacts from the Nubian region (over 1500 years old) but you will also have the opportunity to admire a most important collection of artworks by Polish artists, from the 19th to the 21st century. The art is spread over a large number of spacious galleries and includes both a permanent collection and regular rotating temporary collections. In addition to the art you can also view some examples of iconic Polish design, including furniture, posters, fashion and industrial goods. 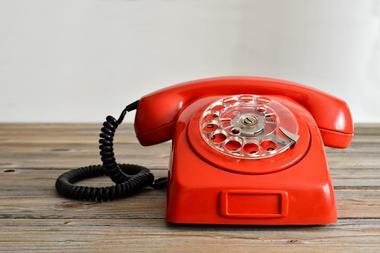 You can book a guided tour in English by phoning in advance of your visit. 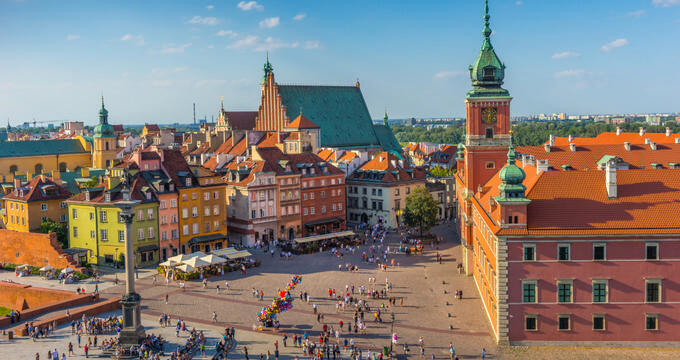 Virtually reduced to ruins by Nazi troops after the Polish Uprising in 1944, the Old Town Market Square has been painstakingly restored to its former glory and is once again the place to meet friends, enjoy an alfresco meal and watch the world go by. The market square (which is a UNESCO World Heritage Site) is surrounded by pastel townhouses, many of which now house interesting museums such as the History Museum and the Museum of Literature. Around the perimeter of the square you will find many delightful pavement cafés and restaurants as well as boutique shops. 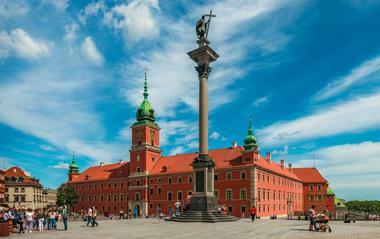 At the center of the square you can admire the monument of the Warsaw Mermaid, a fond symbol of the city. The Palace of Culture and Science is an impressive towering building which dominates the Warsaw city center. The anomaly of this landmark is that although it was donated to the city by Stalin, it closely resembles the design of the Empire State Building in New York, the epitome of the capitalist world. 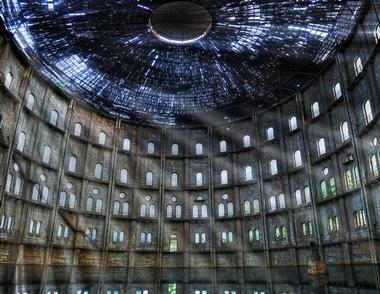 The gifted building became a hated symbol of communist Russia. Today you can visit some of the theaters, bars and museums which occupy the ground level or purchase a ticket to visit the 30th floor Observation Deck which offers wonderful views of the city. 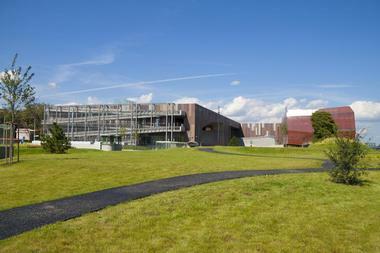 Guided tours are available if you would like to see more of the 3,300 rooms – now mostly offices and conference spaces. Warsaw’s Royal Castle Museum is essential viewing for anyone wanting a better understanding of the rich culture and heritage of the city. The castle was completely destroyed by the Nazis during the Warsaw Uprising and it is something of a miracle that so many of its treasures were saved. When you visit today you can tour the restored galleries and chambers including the Great Assembly Hall, the Marble Room, the Knight’s Room and the Throne Room. On the first floor you can admire the wonderful Lanckoronski Collection of Rembrandt paintings and other visual art. There is a great deal to see at the Castle and you will need several hours to properly explore it using an audio guide or a personal guide. During a period of partial relaxation of repression after the death of Stalin in 1953, it was decided to introduce some Western-style lighting to the city of Warsaw, and a large number to neon signs found their way across Poland between the 1950’s and 1970’s. Today you can take a nostalgic tour of the Neon Museum, where dozens of these signs have been preserved. Many of the signs were put up to promote nightlife venues or retail goods and were designed by prominent local artists. 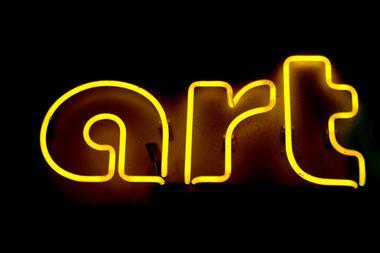 As you will see, many of these neon artworks are just that – art meant to beautify the drab facades of the communist era apartment blocks and businesses. Pierogie are a type of dumpling which can be described as small thin pastry sheets folded around your favorite filling and then boiled in water; they are popular throughout Poland – considered to be a national dish. You cannot visit Warsaw without tasting a delicious pierogie, and once you have tasted one (or many) you will want to know how to make them at home. 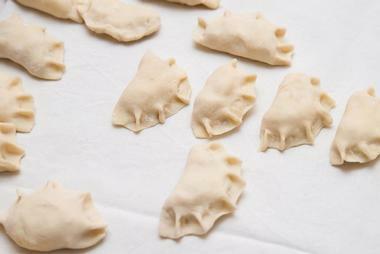 Presented by Eat Polska (who offer a variety of foodie tours around the city), Pierogie Class is exactly what you are looking for. The classes are available every day for individuals or groups and include all the necessary ingredients and transport to and from the venue. Oh-So-Arty is a personalized art guide service that is offered throughout 21 major world cities, giving visitors an inside view on the city's unique contemporary art scene. All city tours are led by working contemporary art professionals, showcasing a local perspective on their daily art scene. Warsaw's tours are led by art historian Zuzanna Zasacka, who has worked with the Kolonie Gallery, the Archaeology of Photography Foundation, and the Zacheta National Gallery of Art. 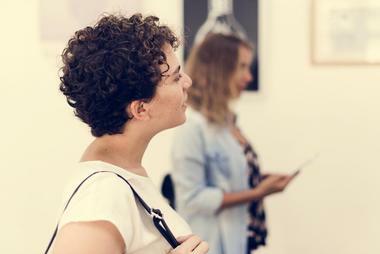 Participants receive a one-of-a-kind chance to explore the city's art galleries, museums, and studios and meet with gallery directors and artists directly in their working environments. Many sites on Warsaw tours are housed within beautiful 19th-century tenement buildings that have been converted into sleek modern spaces, showcasing the region's best modern artwork. 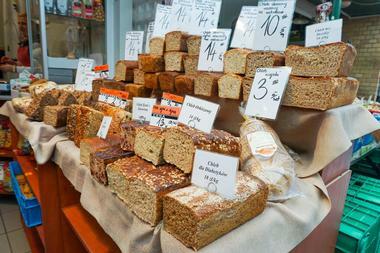 To be able to say that you have experienced a city you need to taste its local delicacies. However, finding the right places to explore local flavors in a strange city can be daunting, which is why joining the Warsaw Food Tour is such a great idea. Tours commence with pick- up at your hotel in a communist era Zuk minibus, to truly set the scene. First you will visit a pastry shop to try a local doughnut (paczek), then the local Farmer’s Market to taste local sausage, pickles, breads and smoked fish. 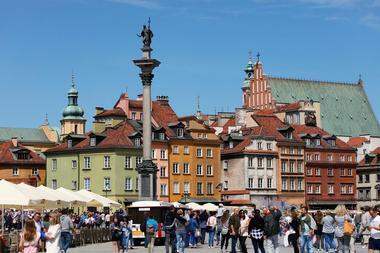 You will then visit a few small restaurants and brasseries to taste famous Polish soups, dumplings (pierogie) and vodka. Probably one of the strangest city attractions you are likely to come across, the Warsaw Fotoplastikon was built in 1905 to offer a form of 3-D theater. 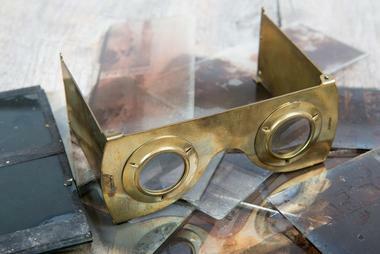 Visitors would sit around a large central cylinder and look through eye-pieces, similar to binoculars, as stereoscopic images moved past, accompanied by music. The Fotoplastikon somehow survived both the Nazi invasion and Soviet occupation, where it was a favorite hang-out for dissidents, and became a symbol of better times. Today you will find the Fotoplastikon tucked away in a pre-war tenement, where you can still watch scenes of old Warsaw and imagine the city as it used to be. 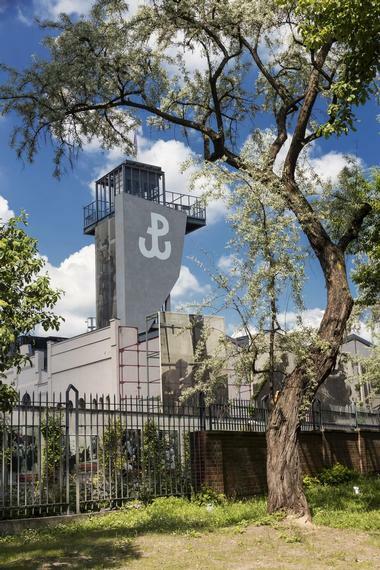 The Warsaw Gasworks Museum is another of Warsaw’s rare and unusual museums, located off the usual tourist radar. Architecture and history lovers can admire the beautiful neo-classic style buildings which were originally built in 1888 but had to be completely re-built after World War II. There are twelve buildings to visit and the gardens and outside areas have been very nicely restored. Occupying what was once the compressor and pump building you will find a large and very diverse museum housing an impressive collection of machinery and everything else to do with gas as well as documents, photos and much more. 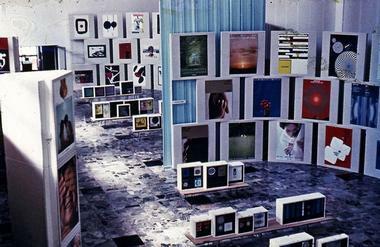 When the Warsaw Poster Museum opened in 1968 with a collection of 13,000 posters it was the first museum in the world dedicated to the preservation and showcasing of this particular art form. Today the museum boasts a massive collection of over 60,000 posters, most of which represent the art form which provided a glimmer of brightness and vibrancy during the otherwise grey and gloomy years of communist rule. 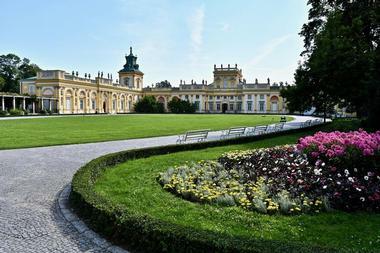 The museum is housed in the former stables of the Wilanow Palace, (well worth a visit in its own right to admire the baroque architecture) and is easily accessible by bus from the city center. The Warsaw Rising Museum opened its doors in 2004 on the 60th anniversary of the start of the fighting in Warsaw and tells the story of the famous Warsaw Uprising. The main aim of the museum is to enlighten visitors about the reasons for the uprising and to pay tribute to the ordinary men and women of Warsaw who lost their lives fighting for Polish independence. There are several galleries packed with photos, interactive exhibits and video footage which some visitors may find difficult to witness. You can tour the museum at your own pace with the assistance of an audio guide, which will lead you through the exhibits in a chronological order. Near the exit you can watch a five-minute 3-D film depicting the near- total desolation of Warsaw in 1945. A bold 33-ft tall bronze sculpture pays tribute to the brave Polish heroes who lost their lives fighting against the occupying Nazi soldiers and the threat of a communist take-over. For many years the significance of the Warsaw Uprising was deliberately suppressed by Stalin and it was only after the fall of communism that the famous Uprising was officially recognized. The statue depicts Polish troops engaged in fighting under the ruins of a destroyed building, while another smaller sculpture shows a man entering a man-hole leading to the city’s sewer and canal systems, which were utilized to pass information and hide insurgents. 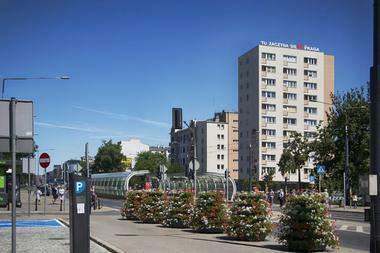 You will find the monument on the southern side of Krasinski Square. 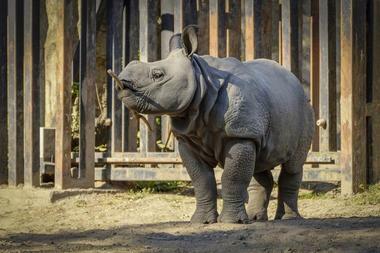 The Warsaw Zoo is one of the largest and most popular zoos in Europe, visited by over one million people every year. The zoo first opened in 1928 and received most of its animals from private menageries all over Europe. Sadly, the zoo was not spared from bombing during World War II and many animals were killed. After the war the zoo re-opened in 1949 and is now home to over 4,200 animals. Some of the highlights of your visit will be the Elephant House (with two outdoor and one indoor pool as well as spacious indoor areas for the four African elephants), the Hippopotamus House and Shark Aquarium and the fascinating Ape House. Adventure Warsaw is an innovative tour company that goes above and beyond your average city tour by offering groups of locals (or visitors) the chance to take part in a variety of action packed city games, ideal for team building or a fun family experience. In addition, City Games offer a variety of scheduled tours covering all aspects of the city – you can sign up for their popular Off the Beaten Track Tour (operated daily) which will take you to see the real Warsaw and allow you to soak us the atmosphere of the historic Praga district. 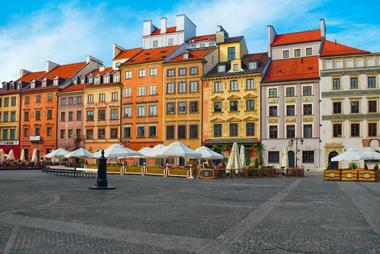 Other tours include the Best of Warsaw tour, the Communism Tour and the Warsaw by Night tour. Offered by the Adventure Warsaw Tour Company, the popular Communism Tour will transport you back in time to the Communist era in an historic Nysa 522 van. 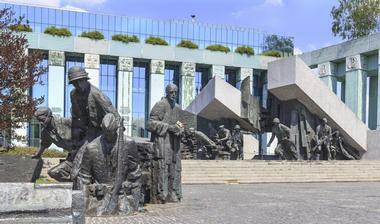 As you journey through the history of socialism in Poland, you will see most of the important buildings and symbols of the era, including Constitution Square, the Ministry of Agriculture and the Palace of Culture and Science. You will learn about the grandiose projects of the Communist system, and find out what led to the demise of the communist regime in Poland. Your tour will include a visit to the Life under Communism Museum where you will get a glimpse of everyday life under the yoke of communism. Warsaw Private Tours (WPT 1313) offers a regular Saturday tour of the historic Praga district using a retro communist-era Jelcz bus. When you hop aboard a big blue (or red) bus in front of the Palace of Culture and Science you will find yourself traveling back in time to Praga as it was during the communist era. Among other fascinating things you will find out where one needed to go to buy things like jeans, vodka, forged passports or even a Kalashnikov rifle. Because Praga district was spared the worst of the World War II bombardments, many historic buildings have survived intact – you will see some beautiful architecture. Highlights of the tour include the Wedel Chocolate Factory, the Koneser Vodka Factory and the Praga district murals. It is hard to imagine a more unusual place to find an art gallery and once you do located it, you will soon realize that Warsaw’s Galleria Forty/Forty is quite unique and nothing like a normal art gallery. The gallery is housed in a 100-hundred year old abandoned building which was once used as a tsar’s barracks. The owners invited a number of Warsaw’s best street artists to come to the gallery and release their artistic talents without the normal restraints place by regular gallery structures. 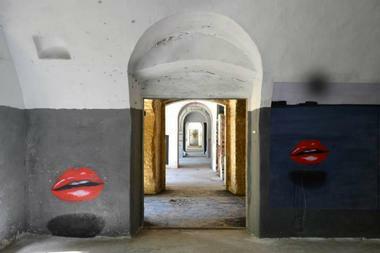 The result is a surprising collection of images, many standing alongside some (uninvited) graffiti. The gallery is always open and anyone is welcome to come and admire the art. Poland is widely respected for producing some of the best vodka in the world and you can sample some of the most interesting locally produced spirits when you join the popular Vodka Tour, offered by Eat Polska. The tour is led by an enthusiastic English-speaking guide who will lead you to three or four different vodka bars and restaurants where you will be offered six or more different vodkas to try. You will also get to taste five foods which are traditionally served with vodka. You guide will explain all the nuances you need to look out for when tasting vodka and answer all your questions. Tours start daily at 17.00.